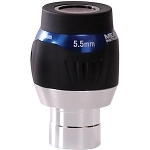 The right eyepiece can make or break any telescope. After all, why squint through a tiny pinhole when you can linger at a dramatic window on the universe and examine every detail? 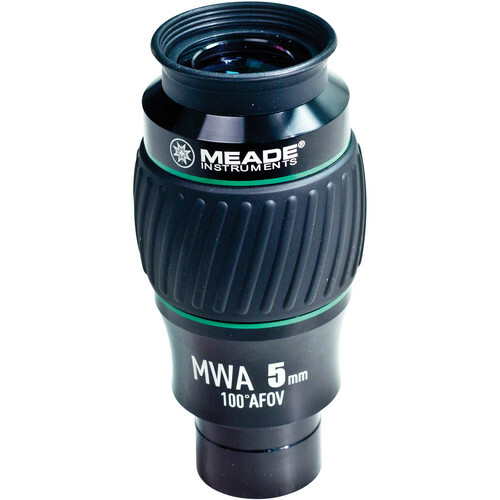 Meade Series 5000 Mega Wide 100-Degree Eyepieces offer revolutionary new advances in resolution, image correction and eye relief at irresistible prices. You simply won’t believe how a premium eyepiece improves your view, no matter what scope you own. See pinpoint resolution edge-to-edge with luxuriously long eye relief. 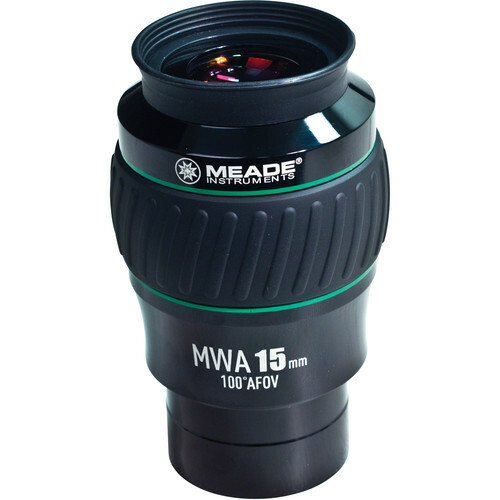 If you think Meade Series 5000 MWA eyepieces look good on the outside, wait until you see the cosmos through one. Experience bright, sharp, sweeping vistas of the heavens; vistas so large that you feel that you are “sky-walking” through the skies. 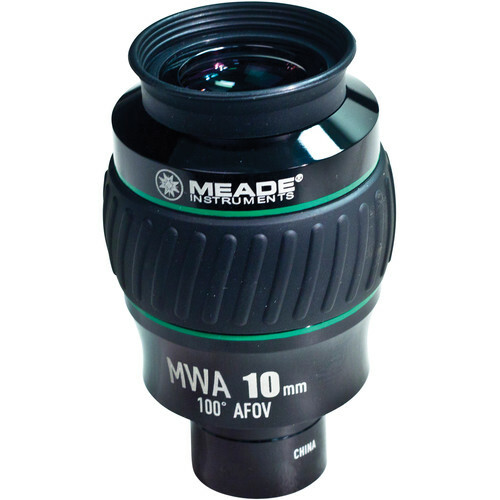 All Meade Mega Wide Angle Series 5000 Eyepieces are parfocal, and are designed with 7-9 optical elements to achieve a high contrast image with razor sharp correction all the way to the edge of their huge 100 degree apparent field of view. 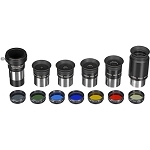 These lenses are Fully Multi-Coated with blackened edges and fold-up rubber eyecups. 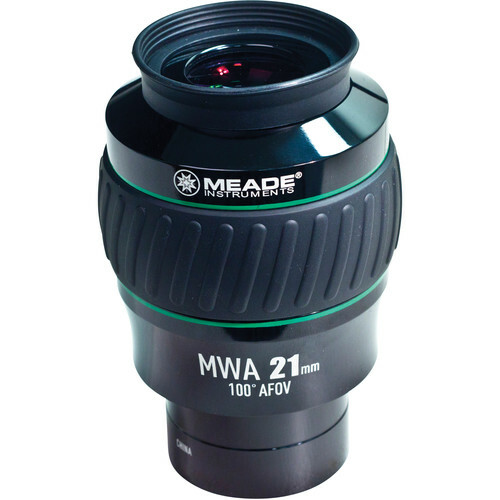 Whichever Meade Mega Wide Angle eyepiece you choose, you are sure to enjoy years of stellar views!